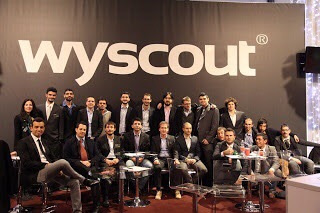 Wyscout Founder and Chief Executive Officer. Matteo Campodonico founded Wyscout in 2004, after having started his career as a business analyst for Finmeccanica IT company Elsag, then moving on to Banca Carige’s Strategic Planning and Investor Relations Team. Matteo Campodonico holds a bachelor’s degree in Economics from the University of Genoa. 1) What is Wyscout, how does it work? Wyscout is the largest football archive in the world, including 330.000 player profiles, 1000 new games per week, 170 Championship and 90 Countries covered. Wyscout works as an online database which allows to watch videos and clips filtered by player and type of action (for example assists, goals, aerial duels, through passes, accelerations) as well as reports, stats and transfer details. This way Wyscout makes the process of collecting information on a player easier and the preparation of matches more efficient, getting all the info needed all in one system, easily accessible from a device. The tool also provides an area to contact directly the relevant football club or intermediary, using the internal messaging system as in a social network. 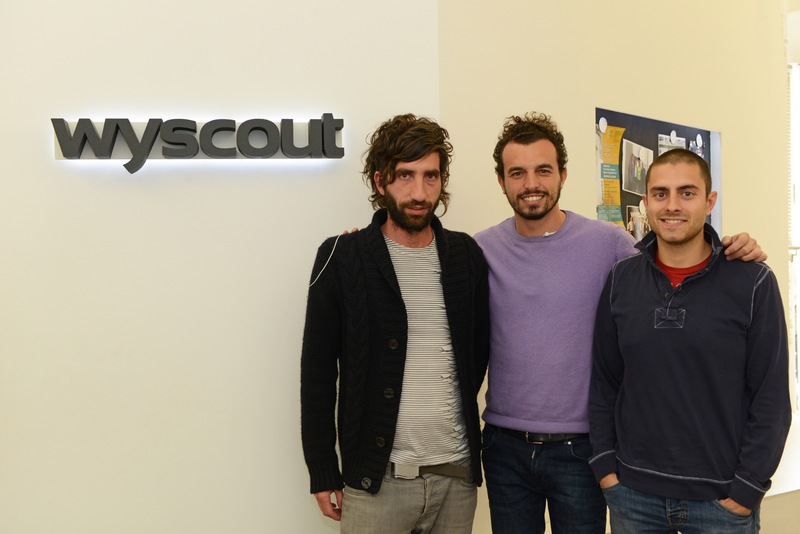 Today Wyscout is becoming a sort of football “Linked-in”. 2) How much of a necessity is technology in sport? Technology along with data and stats have become more and more important in sport. Countries like England are more advanced in terms of analysis and technology, but the general trend is involving all countries and it is bringing them towards an increased use of technology on every level of the game. In particular our technology supports football professionals in accessing an unprecedented amount of information and in achieving information on players and teams beyond geographical limits. 3) How has sport changed when looking at players to purchase especially in football? Wyscout has facilitated market operations which have become more and more international. Small to medium Clubs are finally able to scout players all over the world, making the first assessment through Wyscout Platform. 4) Does this help young players get noticed in football? More than 500 Football Clubs today use our platform on a daily basis to watch games and players, so you can easily understand that professional scouts and football directors pass through the platform to select players and decide transfers. 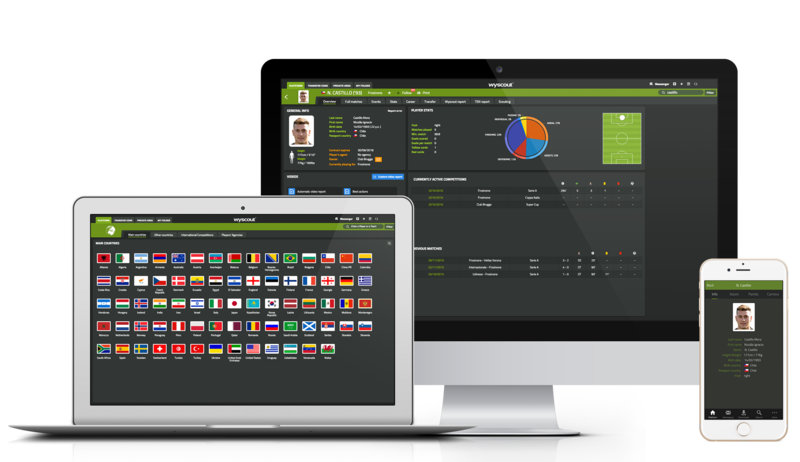 Wyscout provides the best possible tool to discover every talent existing all over the world, with special sections on international tournament including youth teams and report on rookies. 5) Where will technology take football next? There are different types of technology that can be applied to football. 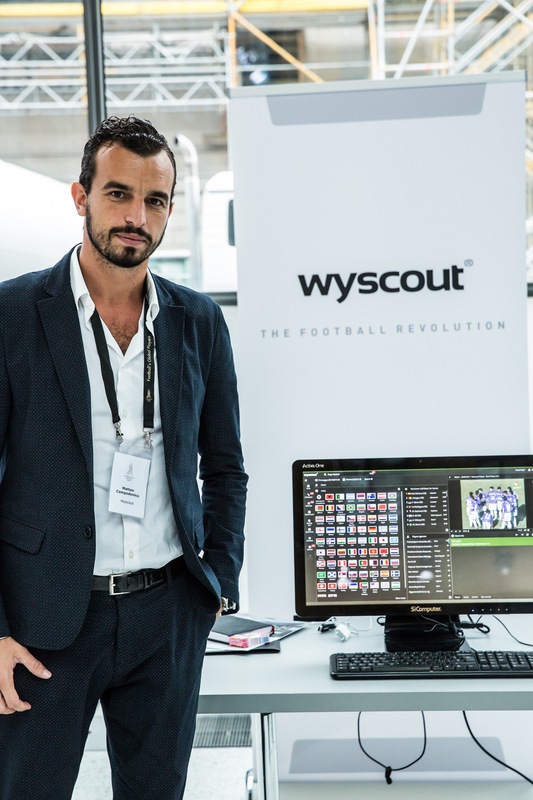 There are technologies to enhance athletes performance (such as biometrics and tools for coaching) and there are those like Wyscout conceived to bring markets together and to provide tools to amateurs as well as to professional football clubs such as Barcelona FC. Finally there are technologies for media productions and new tools to better engage supporters changing the way people experience football and sport in general (social media, Ultra HD 4K TV). Each of these technologies contribuite to making more and more complete the way people experience sport. More in general technology brings a global vision on sport and abolishes geographical and linguistic barriers. 6) What advice do you have for any aspiring entrepreneurs? I receive every week emails from guys proposing some new start up. Creating a new company is really a big challenge for everyone and a mix of ingredients are needed….business idea and business model, entrepreneurship, timing, team, financial partners.…everyone can easily find some good manual for a start-upper. The advice I can give to them is to be always flexible and not to get in love too much with an idea. It’s normal to change it, to stop it, to re-start the project one, two, three times. And also it’s really important to find a good mentor that helps you to stay in front of the problems that soon or later will come. With our partners we have just launched a Sport Tech Incubator, called Wylab. Our goal is to find the next “Wyscout” giving to the aspiring entrepreneurs of the tech sports industry the challenge to be financed by us and to receive our support that means market knowledge and relationships. We would like to thank Matteo for speaking with us.